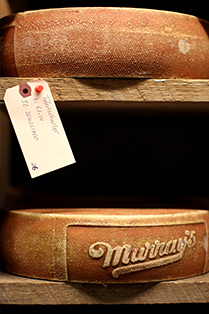 Murray’s flagship store on Bleecker Street features a rotating selection of 300 cheeses from all over the world. Take a peak into the subterranean caves where we age and ripen cheese right beneath your feet. our growing collection. Bleecker Street is also home to Murray’s Melts, our grilled cheese counter. 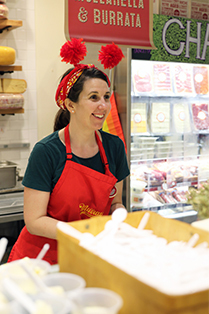 Midtown cheeselovers enjoy the same delicious selection of cheese, hand-crafted charcuterie, rare olive oils, fresh pastas, artisanal chocolates and much more in The Market at Grand Central. At Murray's, our mission is to bring the best cheese selection to America, and we’re doing just that through a partnership with The Kroger Company. Now you can find mini-Murray’s shops inside your local supermarket, offering hundreds of cheeses and artisan-made goods. Find our locations. Murray’s cheese experts work with restaurants, hotels and caterers around the country to supply them with the highest quality cheese, charcuterie and specialty items as well as menu consultation and staff training. 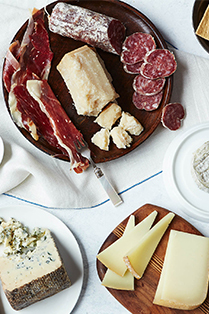 We ship cheese, charcuterie and our collection of specialty foods to all 50 states and Puerto Rico. Our popular gift selection offers Monthly Clubs and delicious gift baskets – there’s something for everyone. All orders are shipped overnight to arrive fresh and ready to enjoy. Looking for our new restaurant? It’s just 3 doors down from us at 264 Bleecker Street! Now serving Lunch, Brunch and Dinner! For the beginner to the connoisseur, nightly classes held in our Bleecker Street classroom will ignite the cheese lover in everyone. 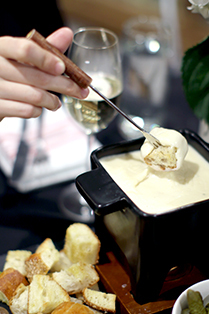 From mozzarella making to cave tours to our famed intense Boot Camp weekend, we love to help you get to know cheese! Our classroom also hosts private classes and events. Our cheese boards and dishes for every meal of the day will turn your next corporate lunch, dinner party or family gathering into cheese heaven. Beneath the arches of our original cheese aging caves, The Leroy Room is an all-new exclusive and luxurious event space from Murray’s Cheese where guided tastings, cocktail parties, and fine dining are curated to your exact specifications. Meet the newest addition to the Murray’s dining family: Murray’s Mac & Cheese! This fast-casual pop-up, located next to our Bleecker flagship store in the West Village, is your new destination for everything macaroni and cheese.